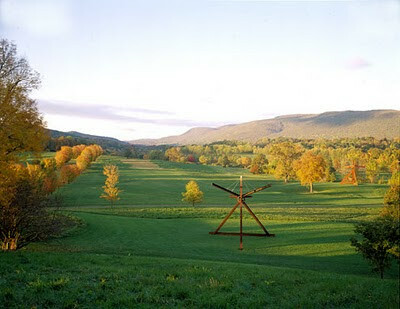 Photo courtesy of Storm King. 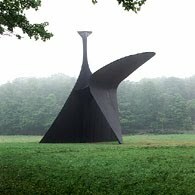 Storm King Art Center, one of the world’s most highly regarded sculpture parks, is a sprawling 500 acres of natural and artistic beauty (about an hour outside of Manhattan). This expansive selection of predominantly large-scale welded steel sculptures, dating back to the 1940s, is nestled amid rolling hills, bubbling brooks, and turning leaves. Each piece is carefully sited in communication with the immediate natural surrounding as well as the faraway landscape. Visitors have the option of freely wandering around the property on their own (bike rentals are available on site), partaking in the daily 2pm guided tour or picking up an audio tour at the Visitor's Center. While there is a modest gift shop on the premises, there is no cafe, so we recommend packing a picnic and a blanket to snuggle up on. The park is only open until November 15th, so catch a Coach USA bus from Port Authority, running Wednesday to Sunday, before it's too late! Roundtrip transportation and admission to the park is about $44 for adults and $22 for kids.